The first high-rise hotel & casino to land on the Las Vegas Strip, the Riviera opened on April 20, 1955, just before the era of the mega-resorts. While it was operational for a better part of its sixty-year existence, it went through a number of bankruptcies including its first just three months after opening. Despite many challenges, the Riviera went through expansions and lasted longer than many other hotel and casinos from its era until the lack of foot-traffic from the demolition of those neighboring casinos over the years and the Great Recession brought it closer to closing in 2010. Attempts were made to bring in customers by offering Bingo, making it the only casino to offer it on the strip at the time. In 2015, the Las Vegas Convention and Visitors Authority bought the Riviera for $182.5 million as part of its billion dollar expansion. On two separate nights almost two months apart in 2016, the Riviera met the same fate as many hotels and casinos before it. The demolitions sent the casino up in smoke. dust and debris. The rest, as they say, is history. Opening Date: April 20, 1955. Costs: Initial costs are estimated at $10 million. Number of Rooms: Initially 290 rooms. With several expansions over the years, the Riv closed with over 2,000 rooms. Number of Floors: The Riviera was originally built nine stories high. Additional towers were added with The Monte Carlo topping out out 22 floors and the Monaco Tower 24. 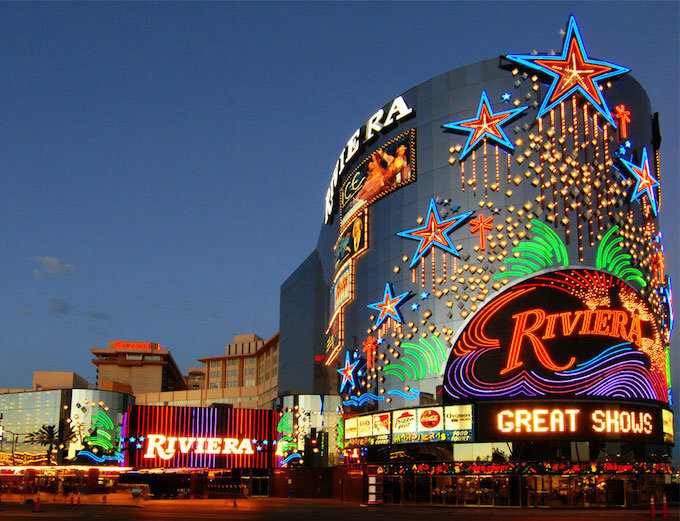 Closing Date: The Riviera initially closed as part of Chapter 11 bankruptcy in 2010. While it reopened for a few years, the final closure occurred in May of 2015 after Las Vegas Convention and Visitors authority purchased the Riviera Hotel and its affiliated property in February as part of its billion dollar plan to expand the Las Vegas Convention Center. The Riviera was initially conceived as "Casa Blanca" by Detroit mobster William Bischoff who later withdrew from the project. Upon its opening, Marx Brothers Harpo and Gummo owned minority interests in the Riveria. The Riviera was the first high-rise hotel and casino on the strip and the ninth overall. Liberace cut the opening ribbon and was the opening act. The Riviera went bankrupt after just three months during which time The Dunes and Royal Nevada casino resorts opened. 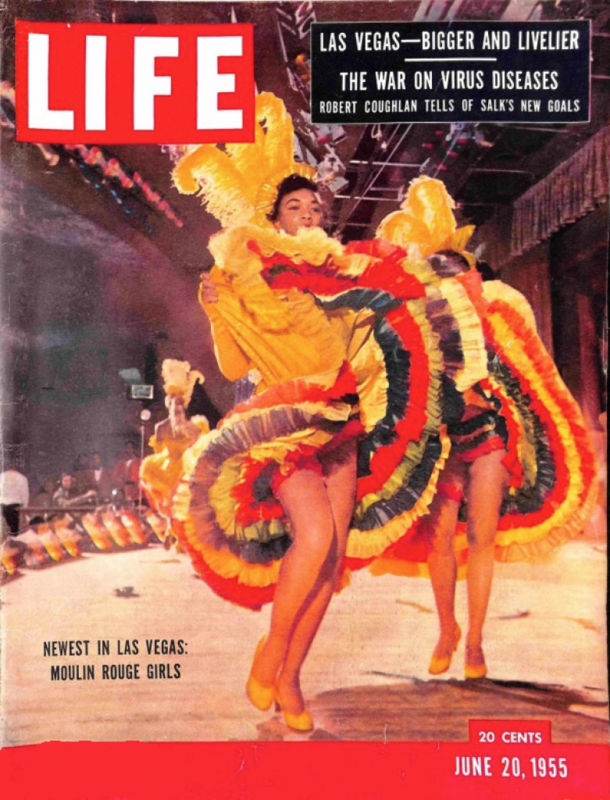 Life magazine ran an issue in June of 1955 pondering if the boom overextended itself as the market appeared oversaturated. The Riviera would file for bankruptcy four times over its tenure on the Las Vegas strip. A decrease in foot traffic from the demolition of nearby casinos (Westward Ho, New Frontier and Stardust) contributed to the Riviera's decline.